…like football, John Madden, and a giant turducken!!! 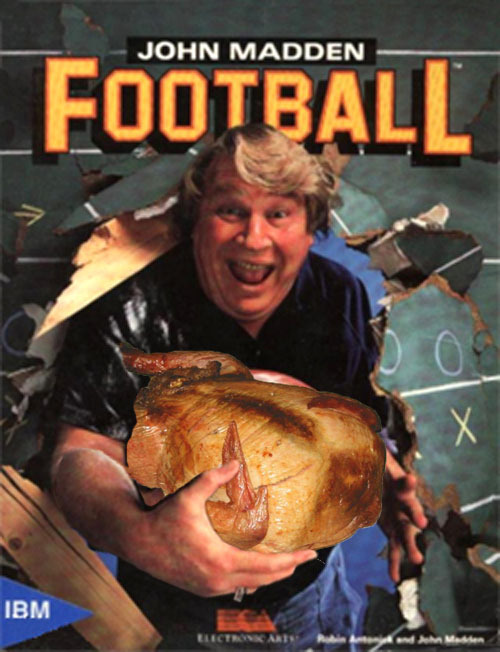 Unfortunately for us all, Madden no longer finds himself within that equation, but there still happens to be plenty of football and turducken to go around on this wonderful Thanksgiving Day. And seeing as how those may be two of the greatest gifts put on this Earth, let us all take a moment to give thanks.